We were delighted by the wonderful range of people who agreed to participate in Transform as speakers, panellists and chairs. Bbringing these people together in a discussion-based event led to an invigorating and challenging day of conversation, debate and ideas. Our speakers are listed below. Click on the links in the list to see longer biographical detail on our speakers. Find more detail about the event here and program here. Please note: This is now a historic document! These bios were correct at the time of Transform and are now likely out of date. If you are looking for current biographical details for any of the Transform speakers we recommend that you contact them directly. Lori works at the intersections of architecture, art, geography, and women’s studies, and is involved in architectural practice, research and teaching. All her work emerges from the belief that architecture can participate in and impact people’s everyday lives. Her design, speculative work, and teaching all engage with the larger idea of broadening the discourse and involvement of architecture in our world. Focusing particularly on the relationships between architecture and social justice issues, she has currently placed emphasis on gender and its impact upon spatial relationships. For more details on Lori’s work her website lab practices. Shelley is a Melbourne-based architect who contributes to architecture and the built environment through her practice, and through advising, writing, teaching and advocacy. Shelley is currently the National President of the Australian Institute of Architects. Shelley will offer opening remarks at Transform as well as participating in the panel following the keynote address and the closing panel discussion. Ben is the South Australian Government Architect. He will participate in the panel following the keynote address. Lee is a director of Sydney-based practice Dunn & Hillam Architects, and will participate in the discussion panel looking at strategies for change within architectural workplaces. Ann is an associate director of Melbourne and Sydney-based practice Hayball and associate professor at Deakin University School of Architecture and Building. Ann will participate in the discussion panel looking at strategies for change within architectural workplaces. Bill is a director of BVN Donovan Hill. Bill will participate in the discussion panel looking at strategies for change within architectural workplaces. Misty is an Associate Director at Bates Smart. Misty will participate in the discussion panel looking at strategies for change within architectural workplaces. Gill is an architect and academic. She is currently undertaking her PhD at the University of Queensland as part of the Equity and Diversity in the Australian Architecture Profession research project. Gill will participate in the discussion panel looking at strategies for change within architectural workplaces. Esther is the Founding Director of Architects without Frontiers (Australia) and an associate professor at RMIT. Esther will take part in the panel discussion looking at other modes of practice. Rory is an architect, researcher and writer, and author of the recent book Future Practice. Rory will take part in the panel discussion looking at other models of practice and in the closing discussion. Paula is an architect and New-Business Manager for Ducon Construction in Melbourne and Principal of Working Dynamics briefing consultancy in Melbourne. Paula’s career has included management consultancy as well as work with architectural companies of all scales – as employee, director and management consultant. Paula will take part in the panel discussion looking at other modes of practice. Sibling is a young, multi-disciplinary design collective based in Melbourne. Qianyi Lim, Amelia Borg and Timothy Moore of Sibling will participate in the panel discussion looking at alternative models of practice. 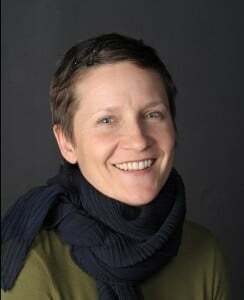 Kathrin is the one of the founders of Innsbruck-based practice LAAC Architekten. Kathrin is in Australia as a speaker at Material, and will participate in the Transform panel discussion on career turning points. Virginia is a founding director of Californian practice Rael San Fratello. Virginia is in Australia as a speaker at Material, and will participate in the Transform panel discussion on career turning points. Elizabeth is design director of Architectus, a position she took up after 21 years directing Elizabeth Watson Brown Architects. Elizabeth is on the panel discussing career turning points. Sara is currently Director of National Urban Policy in the Australian government’s Major Cities Unit. To date her career has included working in architectural practice, managing a property investment portfolio, and many other related activities. Sara is on the panel discussing career turning points. Emma is co-founder and practice director of Perth-based practice CODA, and a former academic. Emma is on the panel discussing career turning points. Felicity is a director of the new practice Stewart Hollenstein, which recently won the Green Square Library competition (with Colin Stewart Architects). Felicity is on the panel discussing career turning points. Naomi is a senior research fellow at the ATCH research centre at the University of Queensland. Among other projects Naomi is leading the research project Equity and Diversity in the Australian Architecture Profession: women, work and leadership. Naomi is one of the convenors of Transform and will introduce the symposium as well as leading the policy consultation session, along with Amanda Roan. Justine is an architectural editor, writer and curator and an honorary senior research fellow at the University of Melbourne. She is the editor of Parlour and a researcher on the associated research project, Equity and Diversity in the Australian Architecture Profession. Justine is a convenor of Transform and will chair the keynote session. Karen teaches in the architecture program at the University of Melbourne. She has published widely on architecture, gender theory and feminism and is a researcher on the Equity and Diversity in the Australian Architecture Profession project. Karen is a convenor of Transform and will chair the session on alternative models of practice and the session on career turning points. Amanda is a senior lecturer in management at the University of Queensland, and is a Chief Investigator on the research project Equity and Diversity in the Australian Architecture Profession. She is interested in all aspect of women’s participation in the workforce but with an emphasis on women in management. Amanda will lead the policy consultation session, with Naomi Stead. Sandra is currently professor of architecture at the University of Sydney, and will shortly take up a new position as Dean of Architecture and Head of School at the University of Queensland. She is a Chief Investigator on the research project, Equity and Diversity in the Australian Architecture Profession and is a Creative Director of Material, the 2013 National Conference of the Australian Institute of Architects. Sandra will chair the session looking at strategies for change within architectural workplaces. Julie is professor of architecture and Pro Vice Chancellor (Research) at the University of Melbourne and is a Chief Investigator on the research project, Equity and Diversity in the Australian Architecture Profession. Julie is chairing the discussion panel on career turning points.